Remove the water pump and balancer shaft chain. Refer toWater Pump and Balance Shaft Chain Replacement. ProcedurePull the water pump and balance shaft chain crankshaft sprocket from the crankshaft.For installation align the crankshaft sprocket key with the slot in the water pumpand balance shaft chain crankshaft sprocket. Slide the gear into place. 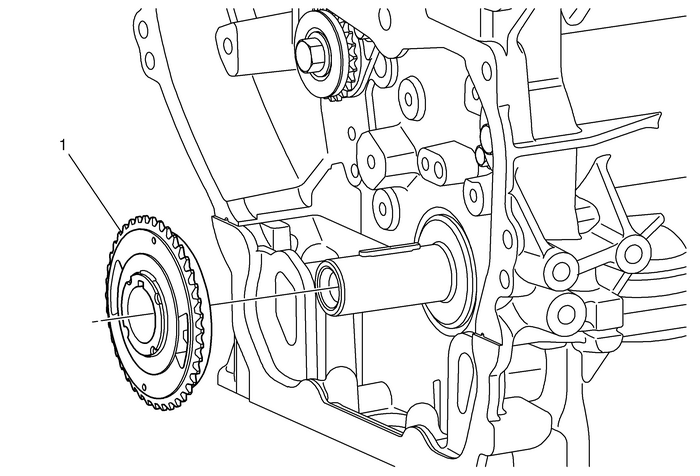 Note:The crankshaft sprocket key is only placed in the recess of the crankshaft. Takecare that it does not fall into the oil pan.